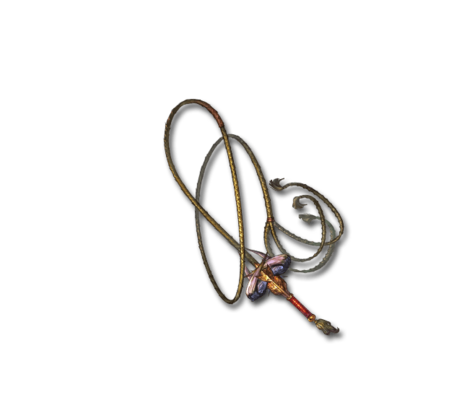 A whip crafted with the leather of a legendary dragon-slaying monster. When cracked, it packs the force of a horn piercing through a dragon's throat. Leather Tanner Big Fire damage to a foe. This page was last modified on 31 October 2018, at 22:27.